Josephine A. Golden (nee Janz) 93, passed away Wednesday September 5, 2018. Beloved wife of Joseph (deceased) for 69 years. Loving mother of five children; Linda Bugaj (Joe), Louise Kirk (Henry, deceased), John (Patti), Joe, and James (Laura). Dear grandmother of 15 and great grandmother of 22. Family will receive friends at The Holy Family Chapel, Holy Spirit Parish; 410 Lear Road, Avon Lake, OH on Saturday, September 15, 2018 from 9:30 to 10:30 AM before a Mass of Christian Burial at 10:30AM. Interment St. Joseph Cemetery, Avon, OH. 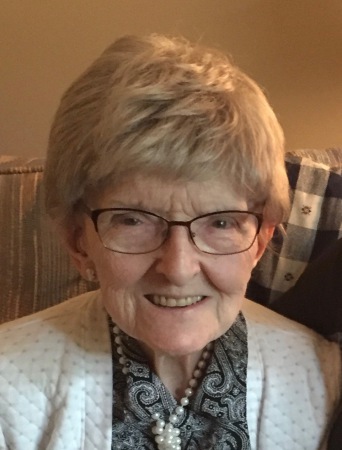 In lieu of flowers, the family requests donations in Josie’s memory to the Alzheimer’s Association or the American Heart Association.